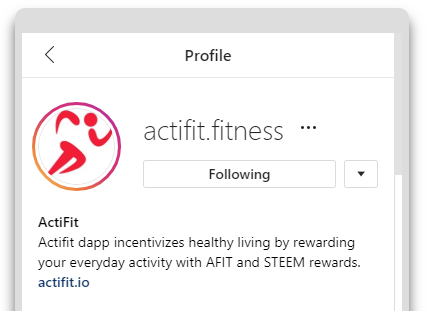 Actifit Daily: 1000+ Insta Followers. New Record Rewarded Reports (500+). New Moderators. Daily Updates. Today we are happy to announce that we reached some large milestones! 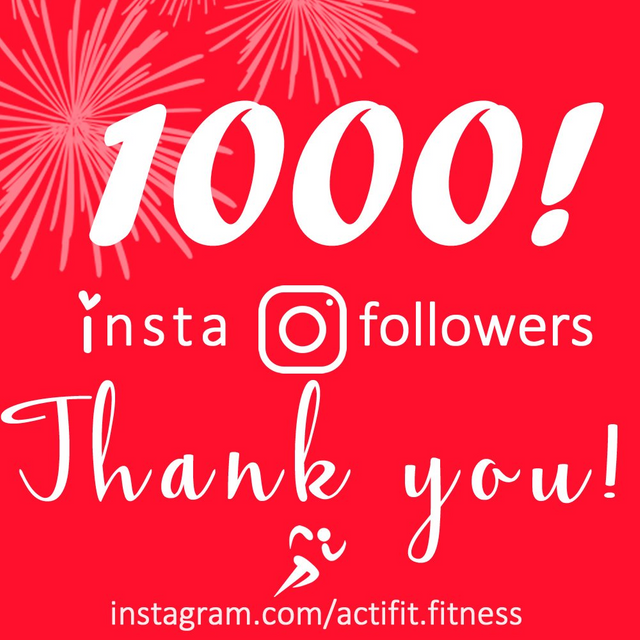 The first of which is a culmination of our efforts on social media, particularly on Instagram (Twitter is doing a great job too thanks to the #seven77 #actfit campaign), whereby we crossed our first organic 1,000 followers! Thank you for all the support across all SM. On another similar growth pattern, our daily rewarded reports had seen a consistent growth recently, whereby we have been approaching the 500 post per day mark, and yesterday we actually crossed that mark, reaching over 500 upvotes! (542 to be exact, more on that below in the daily summary). Following yesterday's announcement about seeking new Actifit team members, we received a multitude of applications. Our newest moderators are: @sumit71428, @alokkumar121, @ckole, and @definethedollar. They will be helping us review the activity reports, give you guys higher rewards for quality content, suggest some improvements to your report quality, but also to help in our continuous abuse prevention effort. We are still open to add few more moderators, but also Actifit ambassadors. Our latest voting round(s) included 542 rewarded activity reports. The biggest recorded ever! Partially this larger number was due to extra voting we had to give before the next reward session, which delayed the current voting round by few hours, yet we have clearly passed the 500 rewarded activity in a single voting round! Today's Random Double Up Reward went to @piercesword! Congratulations on achieving another milestone along your path towards spreading the word about this wonderful project. I would also like to congratulate the new moderators on being appointed, and wish them every success in their new duties. As always, your post is informative and comprehensive, and includes valuable information combined with useful metrics. Your presentation was both interesting and practical, and I appreciate the effort you put into your work. In conclusion, this is another nice contribution from you. Keep up the good work. Welcome to all the new members and good work surpassing the 500 mark on daily upvotes, next stop is 1000! Downloaded for IOS yesterday, and I can't get it to record my movements. What do i do? 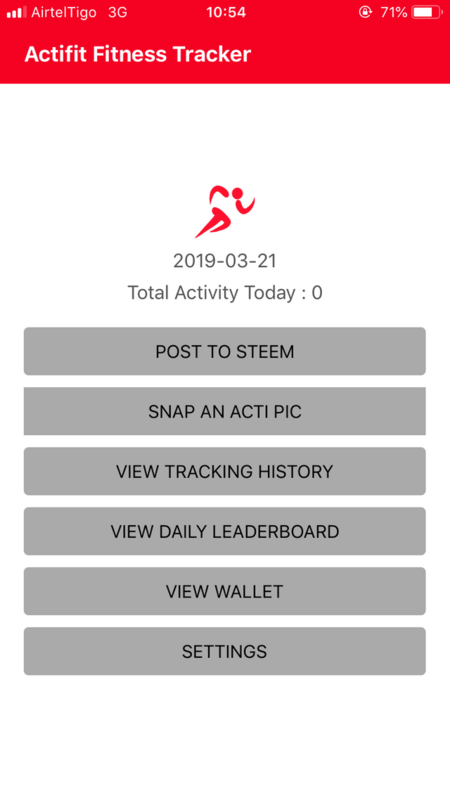 Can you show us a screenshot of actifit on your phone? What phone do you have? Also feel free to reach out on discord for quicker support. It’s an iPhone 8. Was looking for your discord link, thanks for that. Congrats @actifit, And well done but I dont know how to work. Please if you give me some advice. Then I understand it. Wow, I've been waiting for the 500 daily users milestone to be crossed. And the 1000 Instagram followers is great news as well. Things are looking bright for Actifit. Yeh actifit is growing high and i am so happy that i am a part of it, thanks team. Congrats to the new mods!! 400k SP will be the next milestone to celebrate! You made more than 66000 comments. Your next target is to reach 67000 comments.